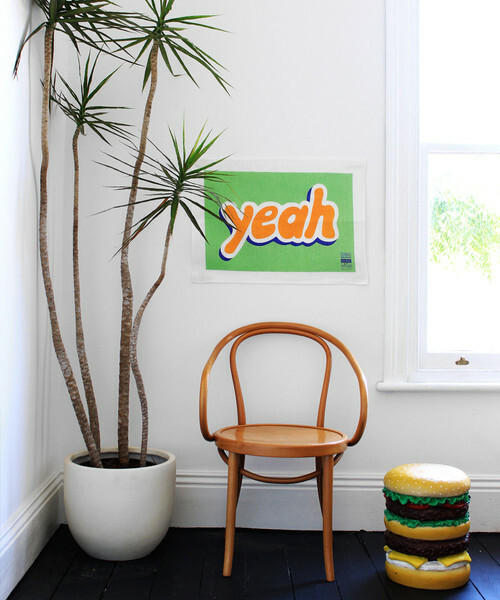 100% Linen Tea Towel featuring 'yeah' artwork. Limited edition of 1000. 50 x 70cm. Jon has been collecting band setlists since the early 1980’s. 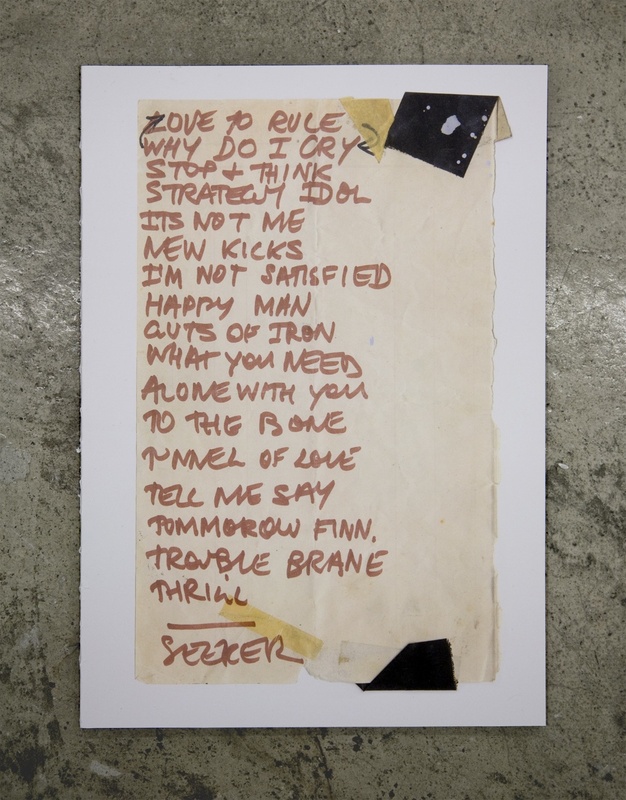 Some of the original band setlists, including, The Go-Betweens, Always, Lakes, Jeffrey Lewis, Tri-State Lovers and The King Jerklews (Jon’s band from the mid 1980’s and his handwriting) have been reproduced in a 64 page book. 2009, English. Softcover, 64 pages (colour & b/w ill.), offset, 240 x 340 mm. Signed and numbered edition of 600. Published by The Narrows. 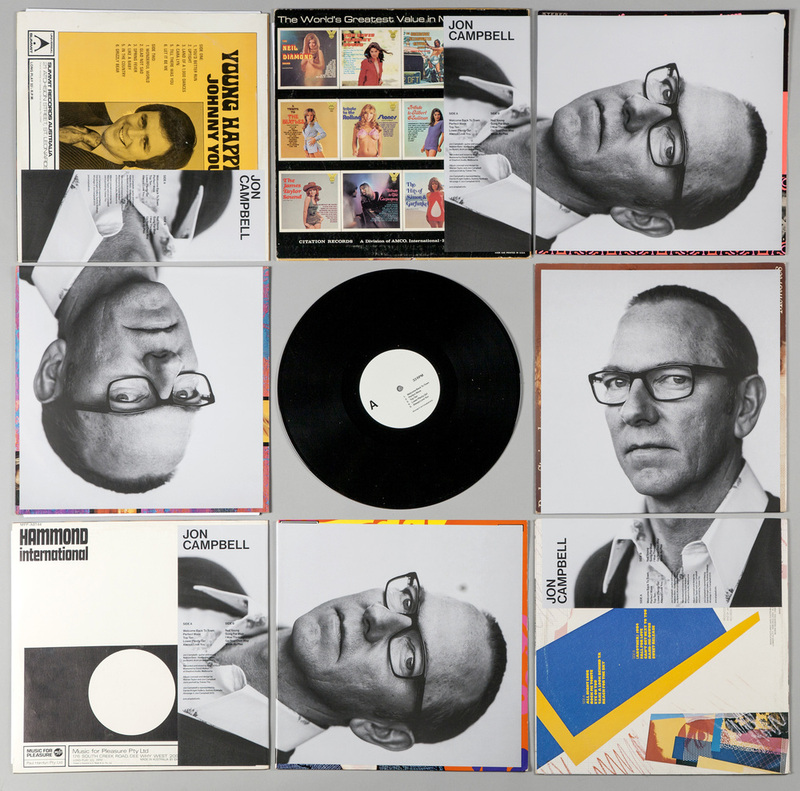 Compilation and design: Jon Campbell, Warren Taylor and Matt Hinkley. 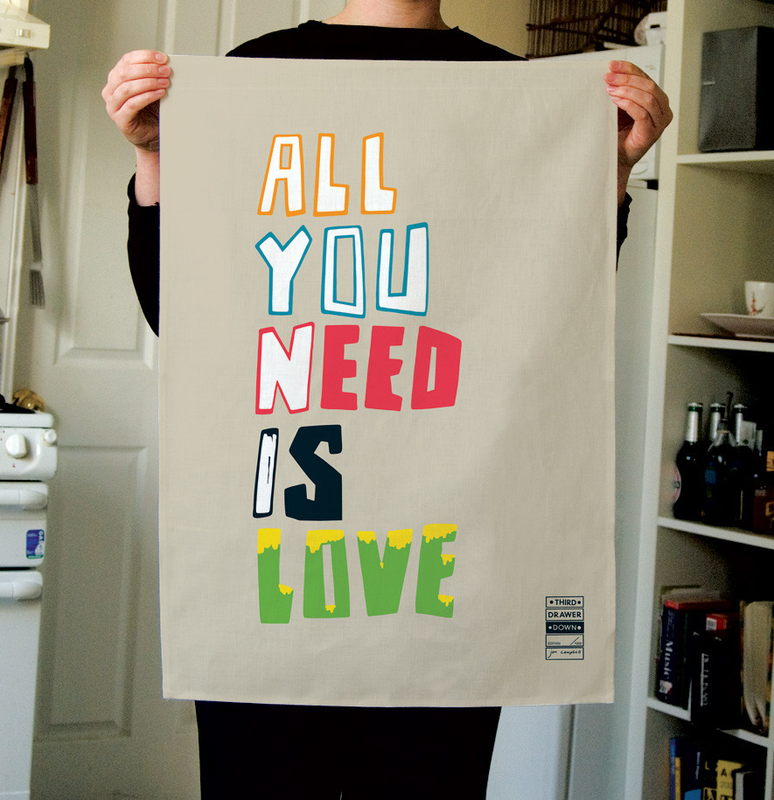 100% Linen Tea Towel featuring 'All you need is love' artwork. Limited edition of 1000. 50 x 70cm. 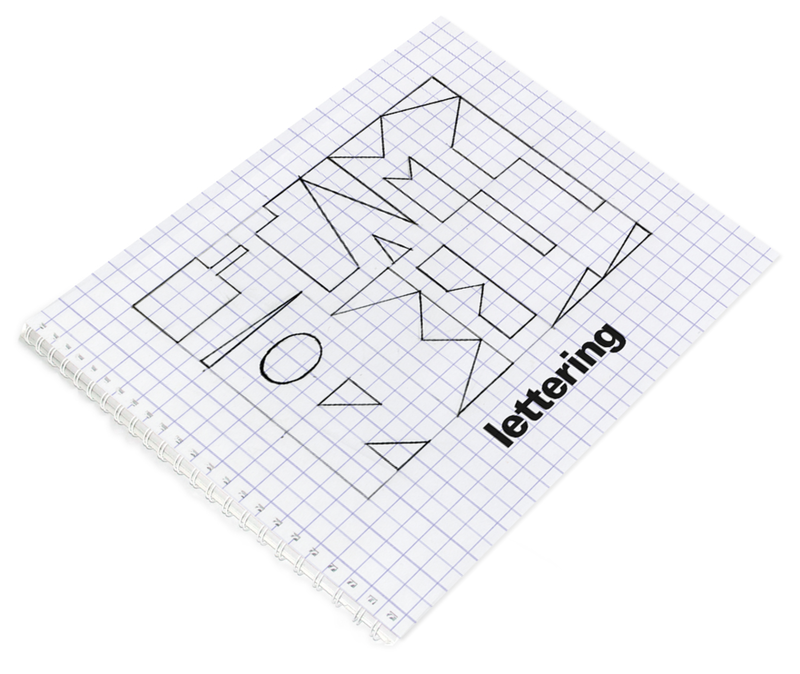 Lettering brings together a collection of works on paper made over the past 10 years. Ranging from intimate doodles to highly rendered texts this is the first time these works have been published as a group. The book also contains a series of photographic stills as well as pages containing images of paintings that relate directly to the drawings. Launched in May, 2015 at the Melbourne Art Book Fair. 2015, English. Softcover (wiro bound), 84 pages, 23 x 18 cm. 1st ed. of 500 copies. Published by The Narrows. 10 tracks, all songs Jon Campbell 2015. Recorded and mixed by Andrew Bare. Mastered by David Walker at Stepford Audio. Jon’s portrait by Tobias Titz. Album concept and design by Warren Taylor and Jon Campbell. 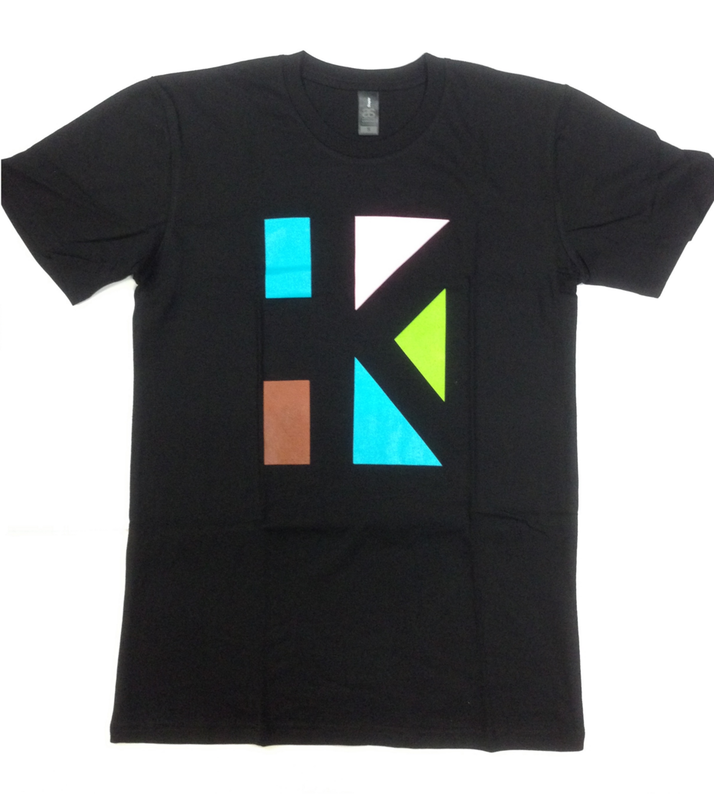 Limited edition of 300 (numbered). Made for Melbourne Art Fair for Third Drawer Down Studio our Jon's Artist Frisbee's is a limited edition collectable. 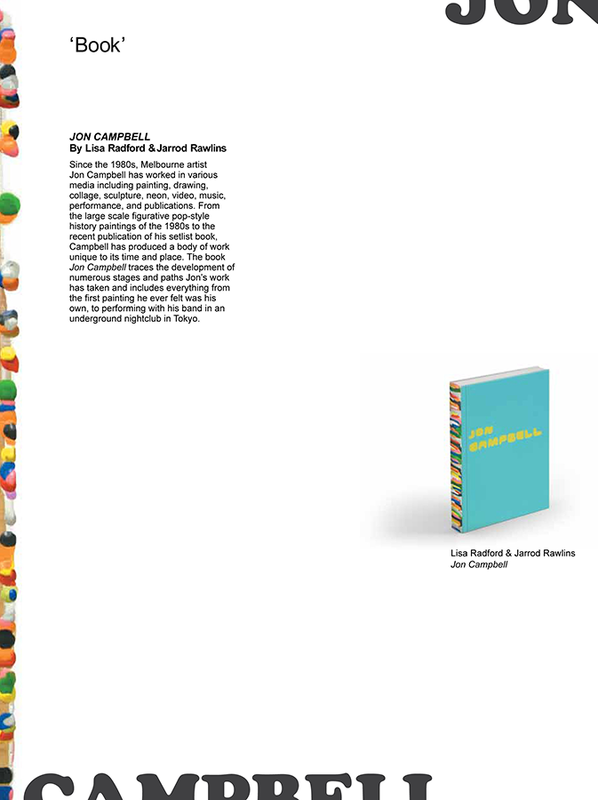 This book is the first comprehensive survey of Melbourne artist and musician Jon Campbell's work. Since the 1980s, Campbell has worked in various media including painting, drawing, collage, sculpture, neon, video, music, performance, and publications. His work revolves around the use of words and images to explore aspects of Australian history and social and political concerns. With texts by Jarrod Rawlins and Lisa Radford. 2010. 200 Pages, English. Softcover. Edition of 1000. 200 x 270 x 200mm. 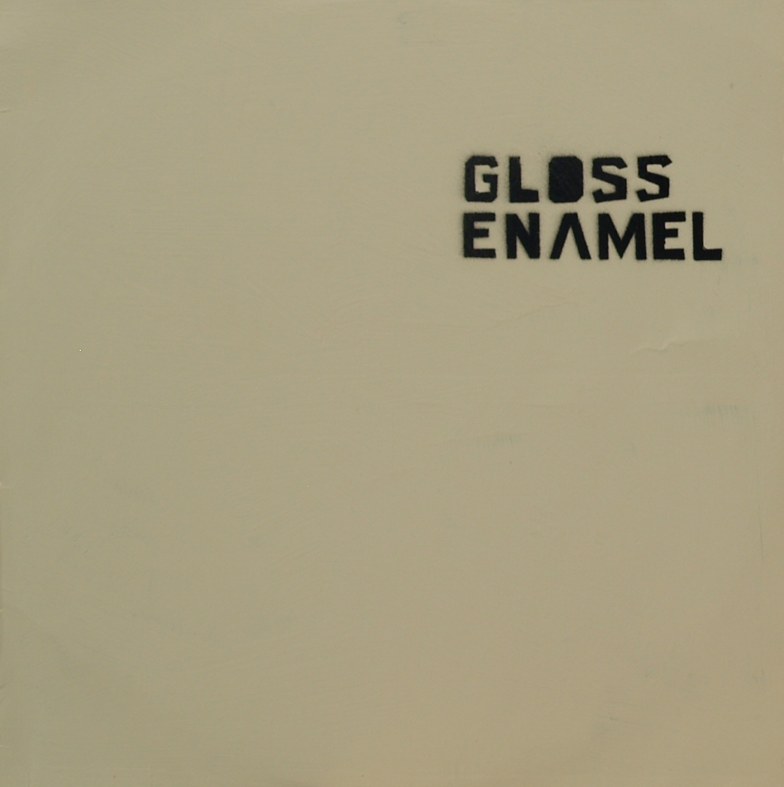 12 inch acetate record. 10 tracks with hand painted cover. 2006. Featuring My Side, Ditch The Pit, Fish And Chips Or Pizza & Ten Fishing Commandments. This is a strictly limited release.